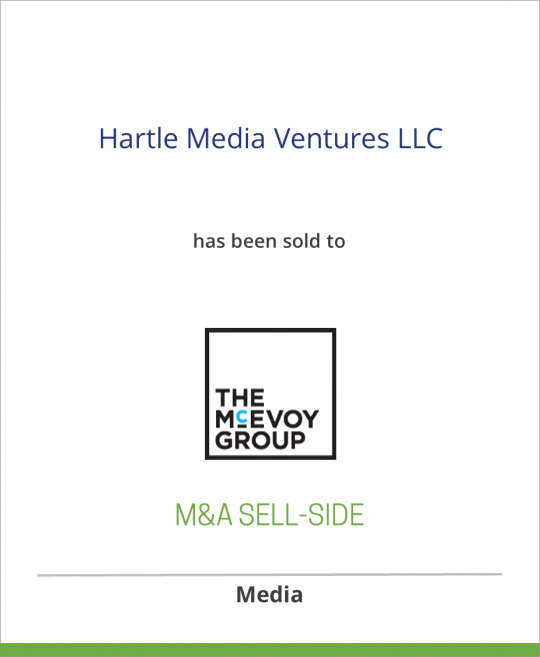 Hartle Media Ventures, LLC, is publisher of 7×7 and California Home & Design magazines. Owner and CEO Tom Hartle founded Hartle Media five years ago as a West Coast rep firm (advertising representative firm) which continues to service national magazines Spin and Popular Mechanics in its home territory, San Francisco and Northern California. Hartle Media also custom-publishes State Park Guides for the State of California. Previously, Mr. Hartle was the founder of Hour Detroit, a younger-audience-targeted city magazine similar to 7×7, in which he sold his interest successfully in 2000. 7×7 is a smart and stylish bi-monthly that celebrates San Francisco people, their stories, and their lifestyles. Now in its fourth year, 7×7 has a circulation of 48,000. California Home & Design is the preeminent, high-end home and garden magazine of California, with its roots in the Bay Area. It has a circulation of 45,000 and has been published for 10 years. The McEvoy Group was formed by Nion McEvoy, the Chairman and CEO of Chronicle Books. Mr. McEvoy’s family previously owned the San Francisco Chronicle.